I have been using this conditioner for a year now and all I can say is that my hair just got better, shinier and started growing faster! This is an amazing conditioner. I have a very coarse fro and I struggled to find a product to help soften my hair. 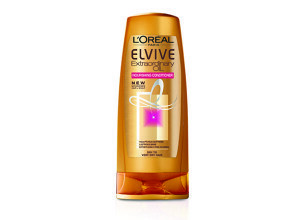 I tried L’Oreal Elvive Extraordinary Oil Conditioner and I loved it. The fragrance is amazing. You can feel the softness before you wash it off and once done, my hair felt so soft to the touch and every easy to comb. It is still one of my faves. I bought this product the other day from Click’s and I love it!! I bought it because I was intrigued my this product being a cream oil. Not only do I love the smell and thick consistency but it just works for my hair. My hair is soft, shiny and feels great! This is definitely a product I will buy again! !